Waltmart Vudu Disc to Digital Service vs. Leawo Blu-Ray Ripper – Which One is Better in Converting Disc to Digital? Many disc retailers have unveiled disc-to-digital copy service to help buyers backup their discs on online libraries and watch them from any supported computer, phone, tablet, game system, TV, or Blu-ray player, like BestBuy’s CinemaNow. Walmart also released a disc-to-digital copy servie to convert your disc movies to online digital content right from people’s own PC, named Vudu video streaming service. With this service, Walmart will convert your disc movies and TV shows into UltraViolet digital copies, which are then stored on personal online libraries. Now, the free Vudu service is available for iOS and Android devices, of course, for computer users as well. Walmart launched Vudu Disc to Digital service several years ago which allows users to convert Blu-ray disc or DVD disc to digital copy restored in cloud. How does Vudu Disc-to-digital work? Firstly, you should sign in VUDU. If you don’t have a VUDU account, you can create a free VUDU account to get started with your Disc-to-digital list and then sign in. Secondly, choose your movie disc. Input the name of your movie title, and choose disc type Blu-ray Disc or DVD. If you choose Blu-ray disc, there is only one video quality – High Definition for you to add to your movie list while there are two Standard Definition and High Definition for DVD. Lastly, you should bring your physical DVDs or Blu-ray discs to a Walmart store to convert disc to digital. For converting SD DVD or HD Blu-ray, $2.00 is charged each time while it costs $5.00 to convert HD DVD. Are all Blu-ray discs or DVDs available for Disc-to-Digital conversion? The list of movies available for Disc-to-Digital conversion is comprised of titles that have been legally cleared for digital distribution from studios participating in the UltraViolet program. We expect the number of titles available for Disc-to-Digital conversion to grow over time. All these things seem to make people more comfortable. But that kind of comfort is only saying that people could stay at home and finish the disc to digital copy backup. And compared with the time when there’s no such service, people get an additional solution to solve the disc to digital copy backup. 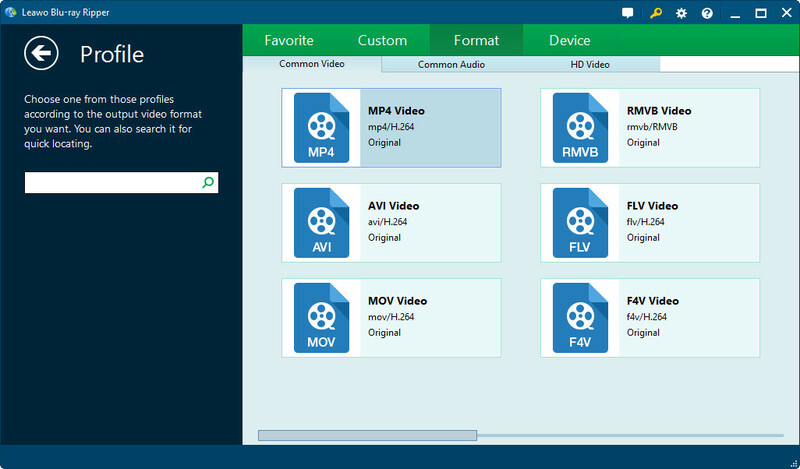 However, the advantages of Vudu or CinamaNow would become nothing when compared to 3rd-party Blu-ray ripping software like Leawo Blu-ray Ripper. Let us see the cost of Walmart Disc-to-Digital copy service. Vudu could convert a standard DVD or Blu-ray movie for $2 and upgrade a standard DVD to an HD digital copy for $5. That means for each converting, you need to pay at least $2. That would be a great cost if you need to convert a big number of discs. Meanwhile, Both Walmart’s Vudu and BestBuy’s CinemaNow have the same limitation: You can’t just convert any movie or TV show from your own library. It has to be a title supported by each respective service and the UltraViolet format. Walmart and Best Buy each support around 3,500 different movies from such studios as Sony, Universal, Warner, and Lionsgate. Though they do include a healthy variety of both recent and classic films, the number is relatively small. You couldn’t be assured that the disc you want to convert is supported. Why is Leawo Blu-ray Ripper is better in converting discs to digital? While on the other side, Leawo Blu-ray Ripper has no such limitations in both converting times and discs. 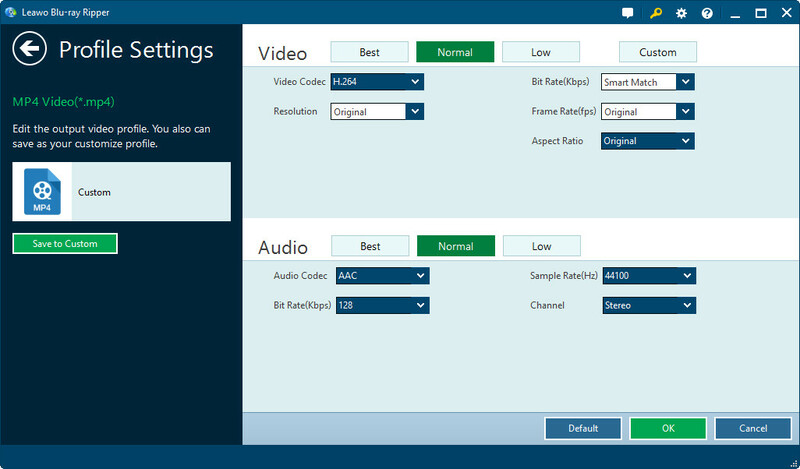 Leawo Blu-ray Ripper could help people easily rip and convert discs, both Blu-ray and DVD, to digital copies or HD/SD videos in various formats like MP4, AVI, HD MP4, HD H.264, FLV, MOV, M4V, MKV, WMV, etc. on your computer with HD video image and excellent audio quality retained. The converted disc movies could be played back on various media players or devices like Windows Media Player, iPhone 6s Plus, iPhone SE, iPad, Surface, Galaxy Note 4, Galaxy S7, etc. Compared with Walmart’s Vudu and BestBuy’s CinemaNow, Leawo Blu-ray Ripper has no limitation in disc number. It could rip and convert all discs available in the market, no matter it’s old classic or fresh released. Also, mentioning the cost, Leawo Blu-ray Ripper has 2 versions: 1-Year License at $44.95 and Lifetime License at $99.95. The price seems to be high. However, $99.95 converts only 20 Blu-ray discs and 50 DVD discs by Walmart’s Vudu video streaming service. But with Leawo’s Blu-ray Ripper, you could get a lifetime license, which allows you to convert thousands of Blu-ray discs you get. As to the output quality, Leawo Blu-ray Ripper could also satisfy you with high quality output files. It could easily rip and convert discs to MKV videos without changing much from source disc movies. It has been rated as the No.1 Blu-ray Ripper on Blu-ray to DVD Converter Software Review on TopTenReview, by getting a 9.38 rating out ot 10. Therefore, considering from the cost and limitations, Leawo Blu-ray Ripper is better than Walmart’s Vudu video streaming service. How to convert discs to digital with Leawo Blu-ray Ripper? Before you convert Blu-ray to digital, you should download and Leawo Blu-ray ripper (for Mac) on you PC (Mac). Launch Leawo Blu-ray Ripper on your computer, and click “Add Blu-ray/DVD” button to load source Blu-ray disc or DVD. Click the drop-down box (named “MP4 Video” by default), and choose “Change” to choose a digital format as output. Click the big green “Convert” button on the top-right of the interface to start to convert disc to digital file. Although we can get some differences between Walmart Vudu Disc to Digital Service and Leawo Blu-ray Ripper in Part 2, it is clear to compare these two if we make a comparison chart. From the comparison chart above, we can clearly know that Leawo Blu-ray Ripper is better than Walmart Vudu Disc to Digital Service in converting disc to digital.